The Oxford College of Engineering (TOCE) is located on Hosur Main Road near an area called Bommanahalli in the South-Eastern region of Bangalore. It is quite far from the centre of city and it takes a lot more time to travel due to traffic, however reaching there is easy by BMTC buses. 360, 600 series and 356 series are the buses starting from Majestic and they all come via different routes covering various areas providing good connectivity with major areas of the city. Infrastructure of Oxford College is pretty good. The campus is big but space is not properly utilized and a space crunch is felt owing to new buildings that have come to accommodate for recently started courses. MBA, MCA departments have AC classes, others also have spacious, well-ventilated & comfortable classrooms. CS department has air-conditioned labs equipped with up to date PCs, other departments too have well-equipped labs. A new, nicer library is recently opened up but not all books have been brought there yet. Wifi is available in each department separately but not in entire campus as a whole due to which there are some connectivity issues are faced by the students. One thing that’s needed is proper facilities for sports, the playground which is currently there is not in a pretty condition. Hostel facilities are provided by college priced at 35k per year excluding food for which you need to shell out additional 2000 rupee monthly. There is water and power shortage in hostels. Otherwise they’re fine. 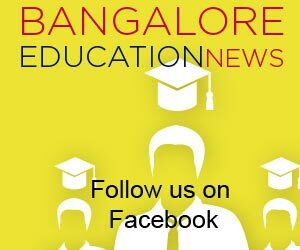 For Karnataka CET students – Rs 36,090 a year. 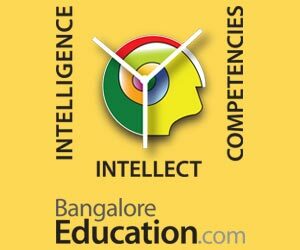 For COMEDK students – Rs 1.25 Lakh per year. These are VTU fees above which college charges 3500. EEE is the best department in terms of faculty where there are many good teachers whereas Mechanical has lots of freshers who are not as good as the senior staff. Many teachers lack fluency in English language and they need to resort to Kannada or Hindi to explain properly. Students feel that some teachers, although knowledgeable, are boring and need to improve their teaching methodology. Overall majority teachers are experienced. It is expected of students to maintain 75% attendance. However one can sail through with up to 50% of attendance. Below that won’t be allowed in most cases. College adheres to a lot of disciplinary rules too. There are fines for tiny little reasons such as not attending first day of a term, there’s a uniform to be worn during labs for ECE students, strict timing has to be followed; one has to enter by 9.15 am to attend first lecture, by 10.15 to attend next lecture & so on throughout the day and generally no one’s allowed in in between lectures. Also everyone is expected to wear I-card all the while they are on campus. One thing that they are surprisingly not much strict about is use of mobile phones. “Earlier they used to confiscate mobiles and return them only at the end of semester; but once they had lost a few mobiles and couldn’t return them to their rightful owners; since then they’ve stopped this practice”, says a senior student smirking. The crowd here is a good mix of locals & hostelites. Overall girls & boys are almost equal in numbers but IS & Biotech branches have few boys compared to girls. Students are quite mixing and friendly but most of them seem to be interested only in studies & lack enthusiasm to participate in extracurricular activities. There’s nothing much nearby. Students generally go to canteen when they bunk. Else Forum Mall and Total Mall are the closest places which are decent enough to go to. The canteen is quite nice & spacious. It offers as much variety as a restaurant but doesn’t charge as much. Students recommend ‘Gobi Manchurian’ as a must have item. The annual cultural festival of TOCE is held May. It is called “Jalsa” but the name is likely to change every year. Placements for Oxford College can said to be as average but they’re improving each year. Major companies that come here for recruitment are Accenture, Infosys, TCS & Capgemini. Average salary offered is 3.5 LPA. Sadly no core companies come for branches other than CS & IS. Hosur Road, Bangalore – 560 068. 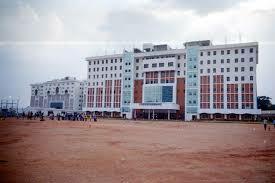 The Oxford College of Engineering (TOCE) is comparatively a new college and it is slowly building its reputation. Infrastructure & Faculty are the plus points but college takes a hit in placements and extra-curricular activities. Students like to place it in top 3 colleges of average rated or 2nd tier colleges.